Large email accounts starting from 25 GB of disk space + web hosting in a shared hosting environment. Your data will be safe in one of our high-end data centres in Europe. Our Corporate Email Hosting service is the best solution for all users who value the quality of their emails and need large amounts of disk space in a shared hosting environment. Our professional Email Hosting service is tailored to any company or individual who is looking for a cloud hosting service with flexible and powerful tools for email hosting in Dubai. The email is the fastest and best cost-effective way to be in touch with your team members and customers. 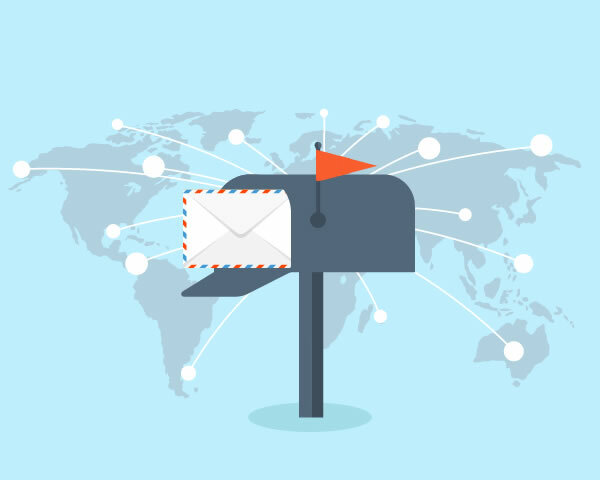 Our email hosting service is ideal for all businesses or individuals looking for a reliable email solution that includes webmail, IMAP, POP3 and SMTP. Our corporate email hosting includes online support available 24×7. All our email hosting servers include anti-spam & anti-virus protections for the best performance and security. Within just a few minutes, you will be able to send and receive emails in your laptop, tablet or mobile device without the common email problems you may have experienced in the past. Our Email hosting plans can be shared with your Web Hosting plan or we can assist you with a dedicated professional Email hosting solution for your business featuring limited or unlimited email accounts, with different disk space limits available for better flexibility. Drop your details and we will contact you. Need a domain name to use with your email accounts? Select your preferred hosting plan and you are set! We can register your .AE domain name with no documentation required and within just a few minutes. Your e-mail address is customisable, it will look like ‘yourname@yourdomain.com’ or ‘name@yourcompany.ae’ as usual and you can access it via Webmail on your web browser or download directly via POP3 or IMAP directly into your computer or smart phone using your favourite e-mail client software. The full service can take up to 48h for DNS propagation reasons but it is usually ready within just a few hours.